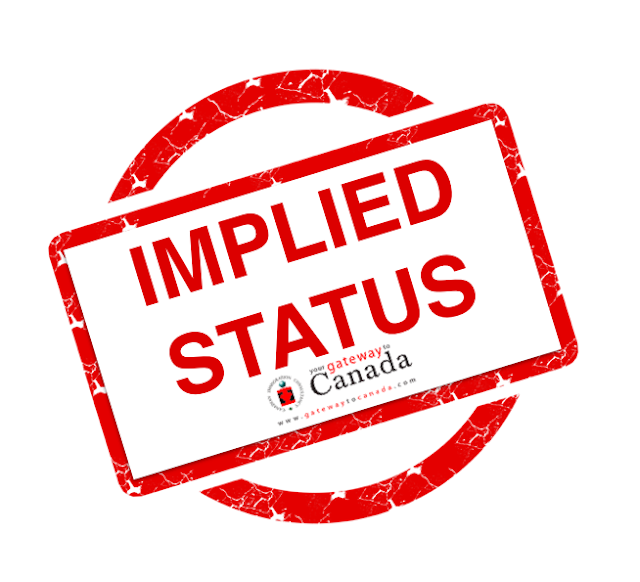 Implied Status (International Student Extending Stay in Canada) - Gateway to Canada | Canada Immigration Consultancy! Expiration of your Study Permit is usually 90 days longer than the end of your program. You must apply for Post Graduate Work Permit (if you are eligible) within 90 days after finishing your program. But what if your Study Permit expired before you receive your Work Permit? According to Immigration and Refugee Protection Regulations (IRPR), a temporary resident must apply to extend their period of authorized stay before it ends. If they have done so, their period of authorized stay as a temporary resident is extended by law until a decision is made. Such a person is considered to have implied status as a temporary resident during that period. If a temporary resident applies for renewal of their work or study permit and their permit expires before a decision is made, paragraph 186(u) and section 189 of the Immigration and Refugee Protection Regulations (IRPR) (the right to continue working or studying under the same conditions pending a determination of their application for renewal) apply only as long as the person remains in Canada.